The main problem which anybody would face while shifting home or getting a transfer done is in the Packing and Moving of his belongings. This is where our company comes in; we provide the best solutions for moving and packing of all your belongings starting from your clothes to your furniture, to your delicate items. We lay special emphasis on our clientâ€™s goods. Our team of professional experts and technicians take every measure possible to ensure that our clientâ€™s goods are nicely packed, safe and is delivered in the stipulated time frame. No matter where you are shifting or how large your goods are we are here to take care of all your worries. We have a step by step process due to which we ensure that your belongings reach their destination safe and sound and without any wear and tear. Household / Personal Goods With our trained and experienced packing staff, we provide customized, professional and cost effective moving services for Local, Intercity (Nationwide). Om Transfer Packers & Movers undertakes schedule planning, logistics support, dismantling and removal of office equipments and fixtures, furniture, workstations and servers. We also provide customized cratings, vaccum packings and setup support. Insurance & Risk Why is insurance required when everything is packed safely? Your precious household goods may get damaged due to unforeseen contingencies during the move so they need to adequately insure to cover the losses. We offer declared value protection for your household goods. 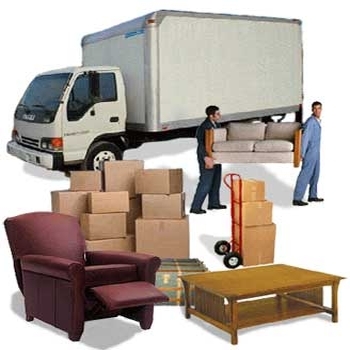 Om Transfer Packers & Movers has been a pioneer in providing professional & innovative removal services to individuals, for their moving requirements for last 4 years. With its customer centric approach, customized & innovative moving solution, provide what is called 'moving with a human touch' , ensuring that whole process of packing and moving one's valuables, personal assets, information and household effects are handled with extreme sensitivity, professionally and effectively ensuring ' Zero Defect' move. Carton Boxes : We use 7 ply, high compression strength Carton boxes of varied sizes for secure packing. Books are packed in smaller 7 ply high strength boxes. Clothes / Kitchenware are usually packed in bigger boxes as they are big in volume and low on weight. Suits / Sarees / Dresses are packed in special suit boxes having hangers. Lamination Polythin Roll : These provide water resistance to various ductile and non ductile commodities making them usable on every kind of product. Corrugated Cardboard Roll : Corrugated Cardboard roll is the most commonly used packing material. These are used to pack furniture and other non dimensional goods which cannot be packed in carton boxes. We use superior quality 7 ply corrugated roll. Air Bubble / Foam Sheets : Bubble sheet is used as a protective and cushion layer for electronic items, wood furniture, crockery and glassware, computer etc. Being a soft material its saves the outer layer of the material from getting damaged while handling and transportation. Crockery and glassware are packed and layered with bubble sheet to give them a shock proof packing. Car Transportation : Car and personal vehicles are transported by special car container vehicles equipped with hydraulic loading and unloading ramps and wheel jammers. The cars are loaded in these fully covered container vehicles and wheel jammers are put so that the car doesn't move while in transit. The car is secured using corner tube covering to avoid any scratches / dents. We send personnel to visit your home a few days before you shift to take in and note the exact number of belongings and volume of goods. The different kinds of containers are used for your goods to transport them safely. We do all this to ensure safety of your goods. Our innovations like portable homes and perfect box are utilized to take complete care of your belongings. International quality packing like bubble wrap and stretch film is used so that the products fit in snugly without bumping. Our packers take care of proper hygiene while packing your puja idols and food items. Your refrigerator is switched off before 6 hours of packing to ensure that there is no moisture accumulation. Unique glass pipe packing is done to ensure that the edges of glass items does not chip. We use naphthalene balls to deter pests and rodents. Our team of specialists handles each department of packing such as electronics, crockery and furniture. Cars and two wheelers are wrapped with specially designed imported sheets to ensure that there are no dents.